Ayurvedic practioners and Panchkarma experts emphasised on greater use of nature based herbs and return to traditional living to keep away diseases caused mainly due to life styles. The experts from different parts of the country were speaking at a national seminar. Well known Ayurvedic practitioner Uma Shankar Nigam of Mumbai, who is a renowned Panchkarma specialist herself, said people were falling ill for abandoning their traditional life styles like getting up early, bathing in cold water and others. Nigam said people are now suffering from breathing problems as they stay away from the sun and natural climate and recommended blowing of conches daily to open up their lungs. Patna Ayurvedic College Hospital Superintendent Devanand Prasad Singh counted virtues of Panchkarma to do away with many health problems due to stressful life style. He emphasised popularising Panchkarma in Bihar like Kerala and urged for setting up centres in every hospital in the state. 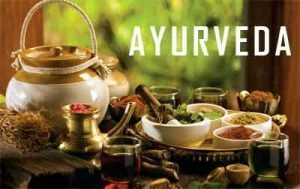 B B Upadhyay of Benares Hindu University said panchkarma and greater use of Ayurvedic medicines in day to day life are key to staying healthy. The function was organised by Government Ayurvedic College and Hospital, Patna and inaugurated by Justice (Retd) Mandhata Singh, Chairman of Human Rights Commission of Bihar.